There seems to be shortage of tutorials detailing this process. 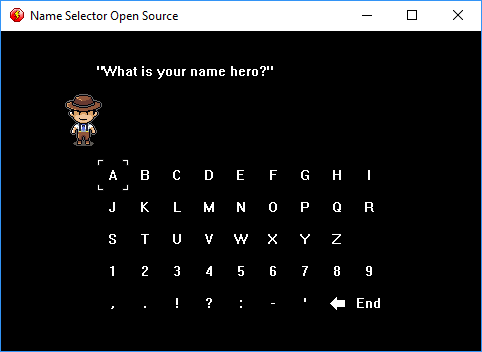 Straight from the source code for Vagabond PI, here is an old school RPG style name creation in open source format that you can use at any time. Use the arrow keys to select the letter and press space to add it to the character's name. I tried to code this as efficiently as possible.